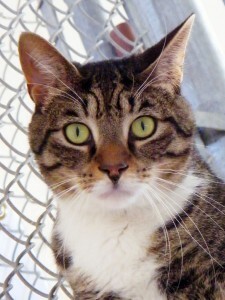 Come meet him and you’ll see that he’s smart and silly, playful and prankish, and yes, he’s dignified too. 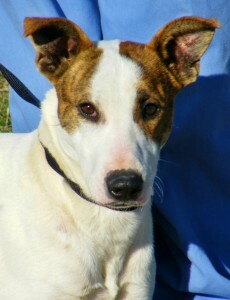 Nacho is a Whippet mix friend in the making, he’s 10 months young and full of energy. He would be a great addition to a family with kids or adults who enjoy an active lifestyle he can share. (He loves to go on walks!) Whippets are know to grow up to be “couch potatoes” and make excellent house dogs; so after these early teen years, he will enjoy watching TV with you as much as running around the yard playing. Sit down for a fine conversation with Ansel and you’ll begin to understand how brilliant, distinguished, and stately this three-year-old Brown Mackeral Tabby friend can be. Ansel’s social skills are as extraordinary as the rest of him. He enjoys the company of other cats and is just the gentle cat-friend you’d trust with your children, he keeps a tidy box and would be happy spending his time inside your happy home. Discover how seriously snuggly a cat-companion can be; Ansel’s heart and soul are packed and ready to start a long, beautiful friendship with you.